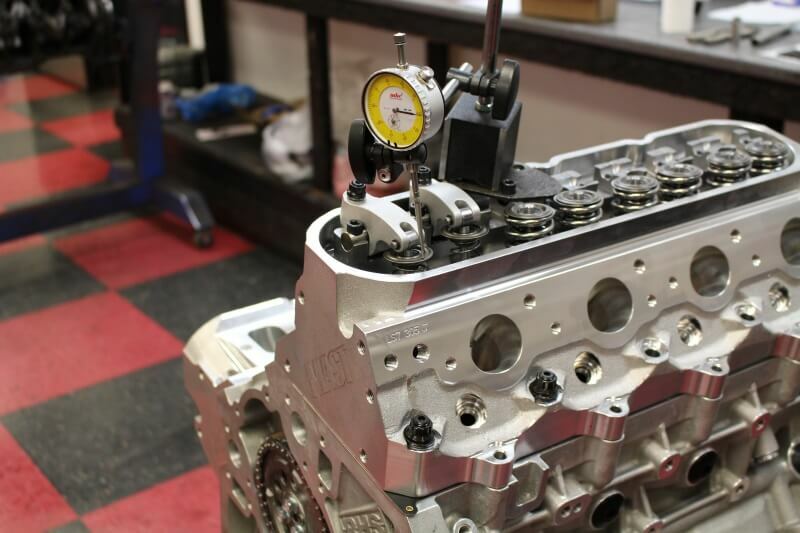 Add your own covers and intake to our Long Block for a direct fit into your LS based car. Direct fit into LS based cars or retro fit into early hotrods with our list of turn key options. 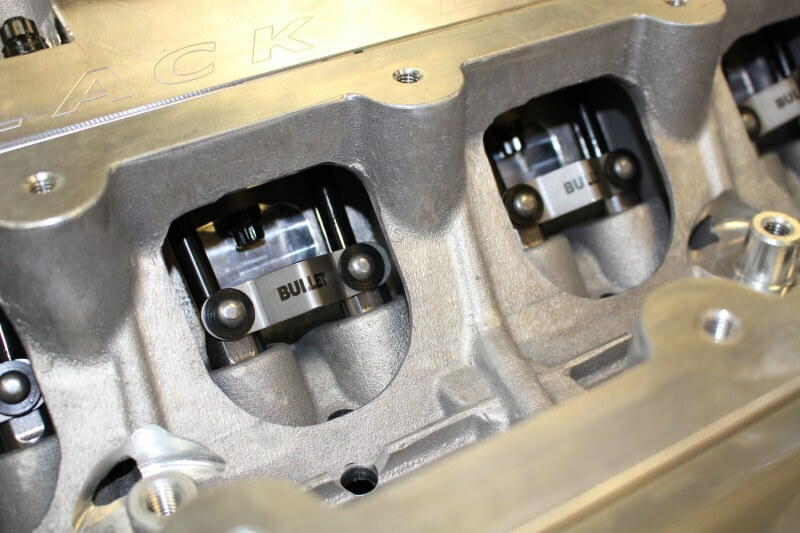 We use all new GM Blocks as the base foundation and meticulously machine each engine to ensure both performance and longevity. 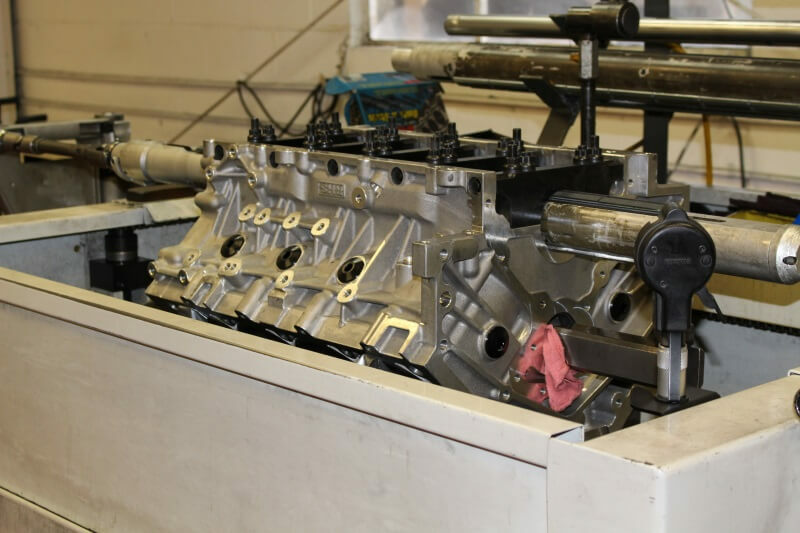 We can custom build our short blocks to work with your heads and can recommend compression ratios and custom camshafts to meet your hp goals. We offer all new builds in both short and long block form as well complete turn key packages that comes dyno tested and tuned. All of our engines are built to order which allows you to customize the power level to suit your needs. 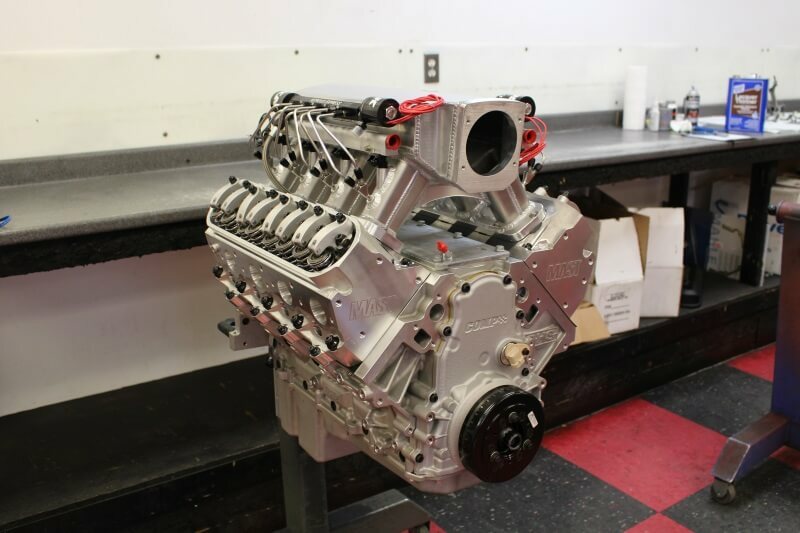 When it's time to install a new motor, what's better than a proven Chevy LSx engine? Aluminum block Gen III and IV engines that bear the LS designation are compact, lightweight and can make lots of power. 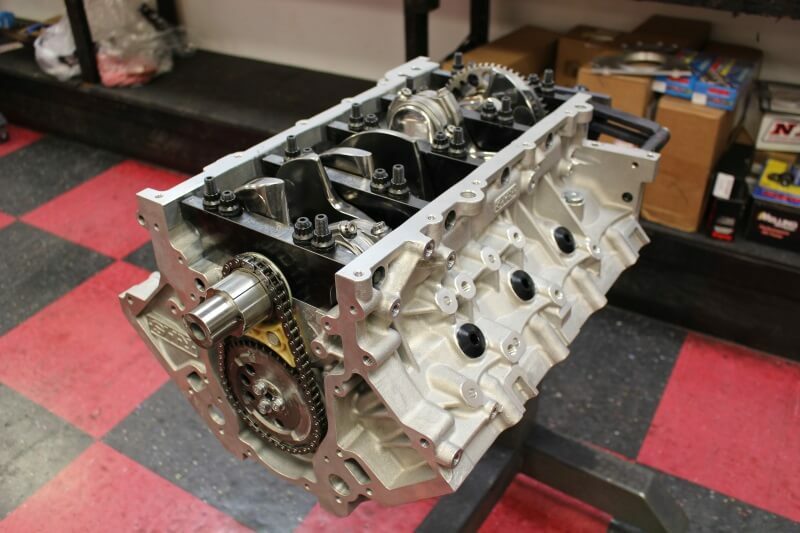 An LSx crate engine is the fastest, easiest and most reliable way of getting your car ready for street or strip. 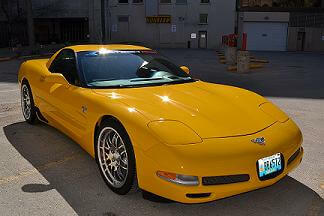 The LS1 debuted in 1997 and was soon followed by the stronger and more powerful LS6. 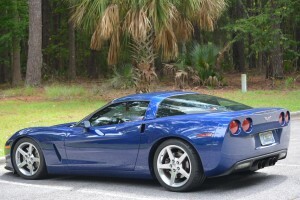 2005 saw a switch to the Gen IV engine, starting with the 6.0 liter LS2. Then came the 5.3 liter FWD LS4, the 7.0 liter LS7, the 6.2 liter LS3 and the blown LS9. 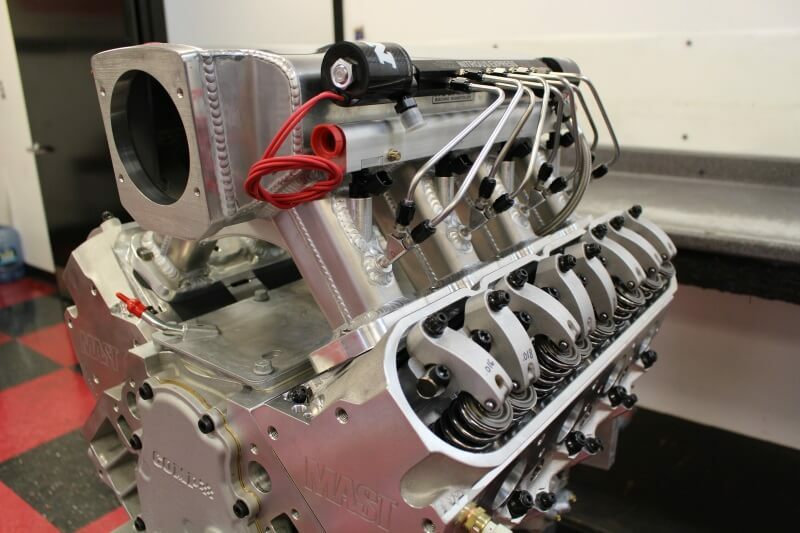 There's an LSx crate engine to suit every need, from daily driver to rubber-burning hot rod. 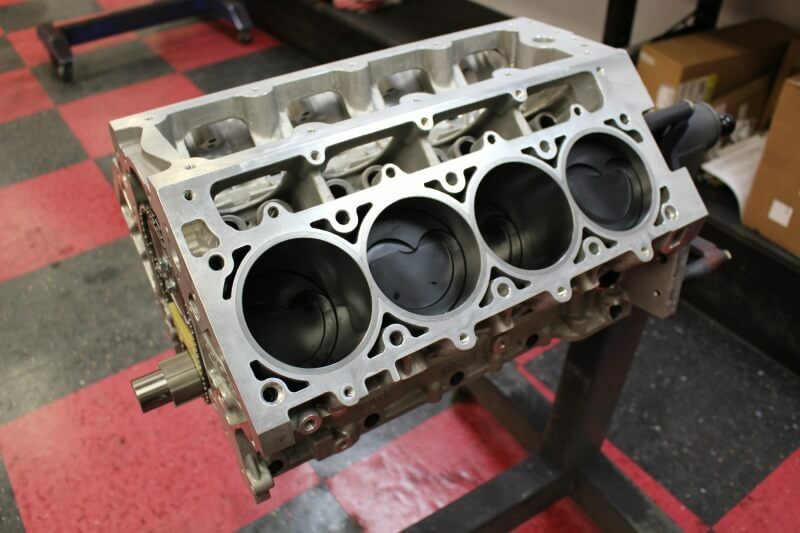 For rebuilding an older car, many owners choose an LS1 crate engine. This often saves time and money as many of the auxiliary components can be moved. Looking for an LSx Engine for Sale? 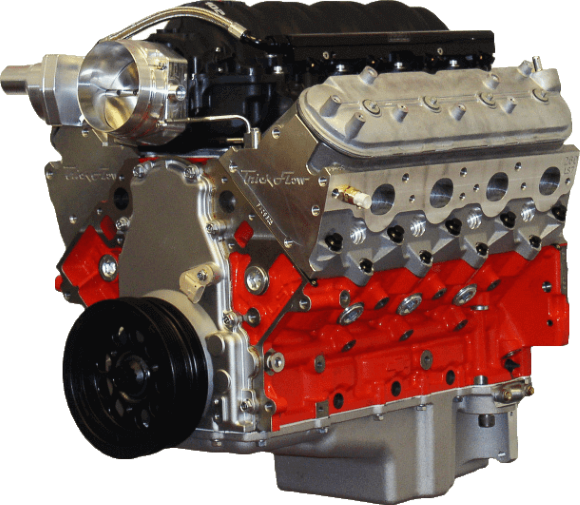 At Golen Engine, we offer many variants of the classic LSx. These range from the LS1 crate engine up to the LS3. We sell them in short block, long block and complete engines. 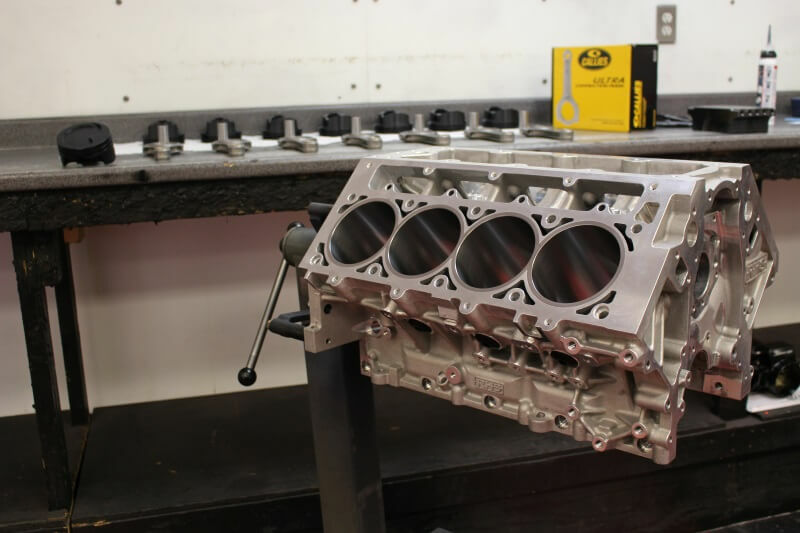 Short Block LSx: You get a new GM block and crank, along with forged steel rods and Speed Pro pistons, plus American-made bearings and rings. The whole assembly is balanced for less vibration and longer main bearing life. 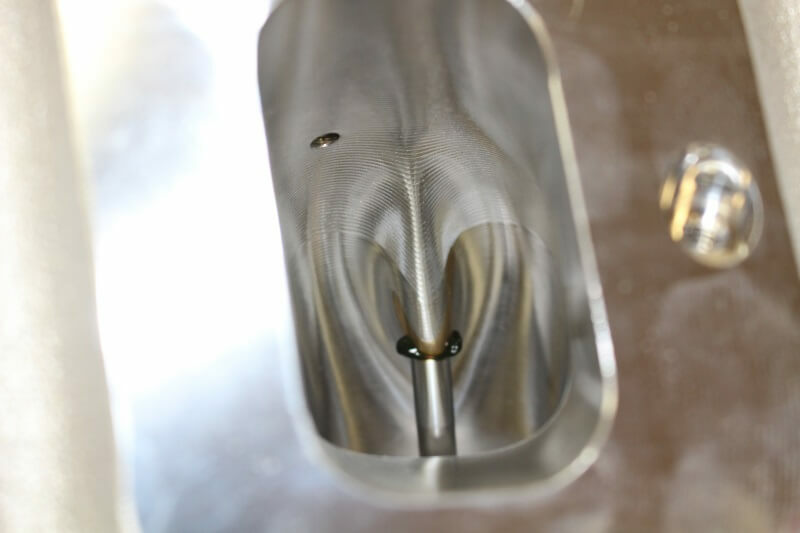 It’s also blueprinted to extract as much power as possible while ensuring the engine will last. 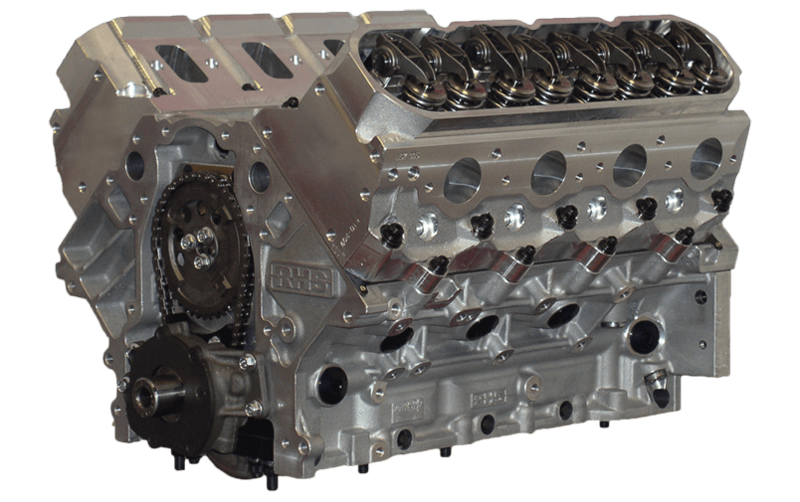 Long Block LSx: Take the short block and add a cam and fully built-up heads. Complete LSx Engine: This gets the appropriate intake plus the ignition system and all the covers. Simply mate it up to the trans, hook up the hoses and you're good to go. If you're trying to find a good LS1 engine for sale, there are many places to look. Don't cut corners when you're replacing the motor, invest in a quality LSx engine. Talk to us. 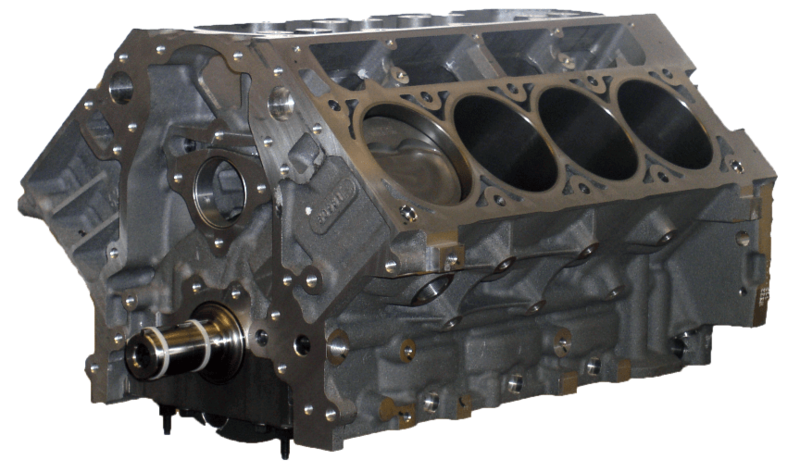 We can supply an LSx crate engine that delivers power and performance for years to come. Call us today. I just wanted to give you an update on the boosted LSX 427 engine we bought from you. With a 76mm turbo @ 19lbs of boost and some fuel modification in our 2010 camaro it is making 830 hp at the tires and 824 ft lbs of torque at the tires on pump gas only. I just wanted to let you know how pleased I am with my engine that the crew at Golen Engine built for me. 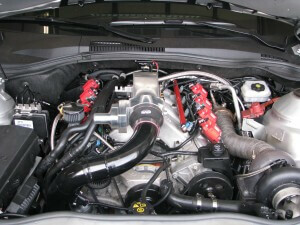 The motor is an LS2 in a 2005 Corvette. Chad and his crew did an excellent job rebuilding this engine that had previously suffered a complete meltdown at the hands of a completely incompetant, I use this term loosely, mechanic. The engine was returned to me as promised, and running like a top. The motor was stroked to a 402ci from the stock 364ci. Chad’s expertise with these motors is exemplary. I chose his shop because all the work is done under one roof, this became exceptionally important when it came to trying to save my original aftermarket heads which had a leak, not all shops have a vacuum tank and would be able to diagnose this issue, at least none of my local shops could have. The heads had to ultimately be replaced, but the company that manufactured them did send me a new set free of charge. 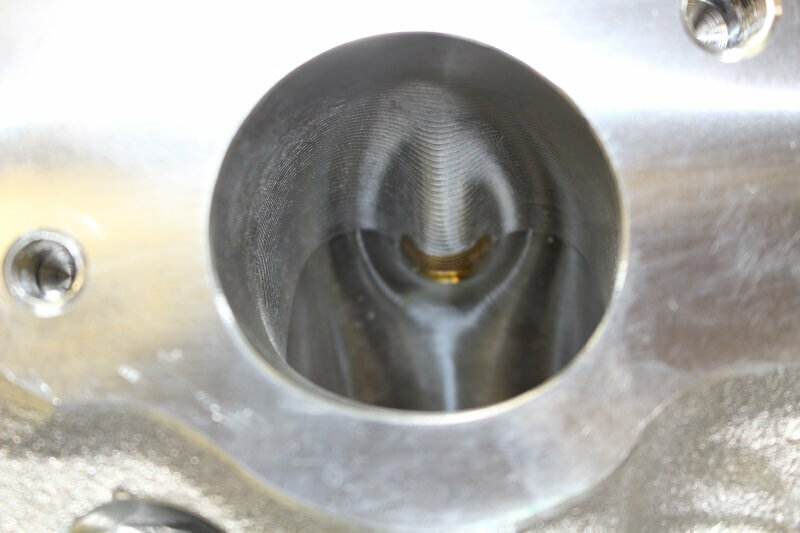 Chad was able to pinpoint the leak showing it was a manufacturers defect, something that could not have been done by a lesser shop, and I would not received a pair of new heads. My local shop said to just sell them for scrap. I recently returned from my first road trip in the car through the southeast, where the temperatures ranged from the mid 80’s to the low 90’s, the engine performed effortlesy. The engine was dyno tuned here in Florida. The tuner was also equally impressed with the results of the build. He told me that it is extremely rare to see an engine pull within 1/2hp on four successive power pulls. The tuning was done in early August where the temperatures were in the upper 80’s. The tuner I have been using for years is well known, running a tuning school where he instructs tuner’s throughout the U.S and abroad, so he’s seen quite a few engines. The engine put down 516hp and 486ftLbs of tq at the wheels. Both the tuner and Chad believe there is still about 15-20hp available if I upgrade to the 102mm Throttle body and larger headers. I am currently running a ported 90mm throttle body and 1 3/4 inch headers. Unfortunately this requires more $, so we’ll see next year. I am looking forward to many years of enjoyment out of this motor. I’m hoping to do a few track days this fall so I can really have some fun and see what it’ll do. The car easily breaks loose in first and second, stationary and rolling, my wife is not too fond of this trait, I’ve been telling her that the seat is loose and I need to tighten it up! Not sure she believes me. Anyway, I am a completely satisfied customer. I just wanted to provide you with a little feedback on my experience working with you to put together my RHS 450cid LS motor. I really enjoyed all the time and information you provided me during the build. It was fantastic to almost always get a live answer and talk directly with the boss when I had a question, or to send over and email and have it returned within a very short time frame. The multiple cam testing and dyno runs were very insightful and clearly make your shop unique in its own right. There is certainly something to be said about the smaller family run shop that have an owner that is actively involved in the business on both sales and service. Your knowledge and many years of racing experience certainly have proven to be an advantage. I now have about 1,500 miles on the new motor and it is absolutely a very stout build. Even with the mini-tub and the 345’s out back it shreds those tires like you would not believe. I certainly appreciated the time and patience you invested to explain the process and my many questions. I would recommend anyone looking for a ‘Hot’ LS street or race engine to give Chad a call…great guy, great engine builder. You won’t be disappointed. 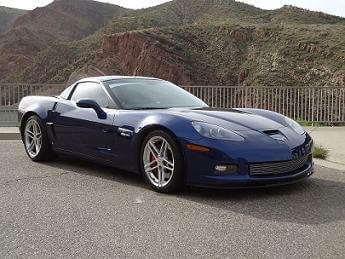 My wife and I would like to Thank You for building our LS7 engine in our 2006 Z06 Corvette. To finally have an internally forged/balanced motor with a Superdeck block that will withstand boost and an 11:1 compression ratio is much more comforting than waiting for the standard equipment to fail. We have a good solid 750HP at the flywheel and 660RWHP. By the way, our motor was de-tuned from about 800HP to 750HP to deal with the Arizona heat issues. In addition, the blower cam you recommended keeps the power consistent throughout a wide RPM range. This adds a little more fun while accelerating. Also, the cylinder head work gave this engine a heck of a lot more airflow and dependability. At the last car show we attended an older spectator stated “This car has some Huevos”! Nice Job Chad! 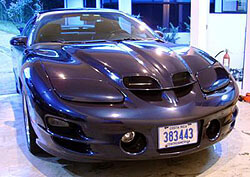 Looking for a powerful forged supercharged ready LS based engine for my 2000 TransAm wasn´t an easy task, most of it because here in Costa Rica there is no experience with this engine. When the company name, Golen Engine Service came to me I grab the phone, from the moment that Chad himself talked to me I knew that he was the right guy for the job. He listened to me, answered all my questions, make the best recommendations, and he had the patience to go all over the project several times just to be sure that we both were on the same frequency. He kept me updated during the entire process and helped me getting some extra parts needed for this project. The result, a complete beast LS2 402 supercharged engine ready to run. During the install we needed to call him an infinite times and he was always there to give us the right answer. Driving the car put a big smile on my face, but taking it to the dyno was the best of all, 687 RWHP @ 5800 rpm and 662 RWTQ @ 5300 rpm with 13 psi of boost, this on a very hot day with pump gas and without any knock. The engine runs excellent for daily use and it´s a very respectable contender on the track. My dream really come true, thank you for making this possible. 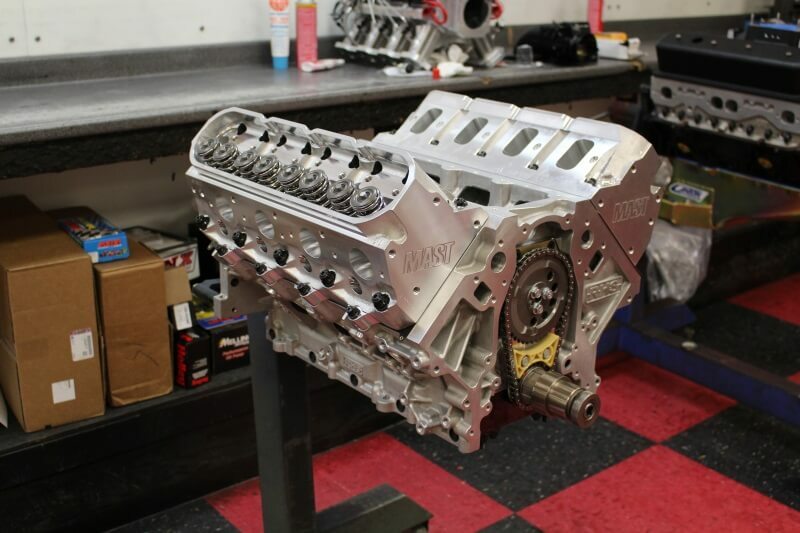 Here we are building a 502ci LS Chevy engine which features the RHS Aluminum Race Block, this build will make between 800-850hp when all finished. Follow our process below to see how we build this beast!! 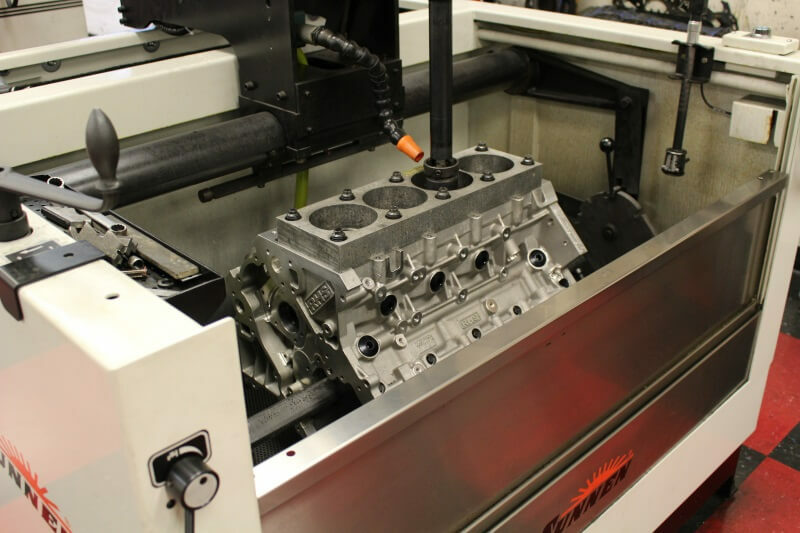 We use our Sunnen SV-15 Cylinder hone to get the cylinders round and straight as possible. 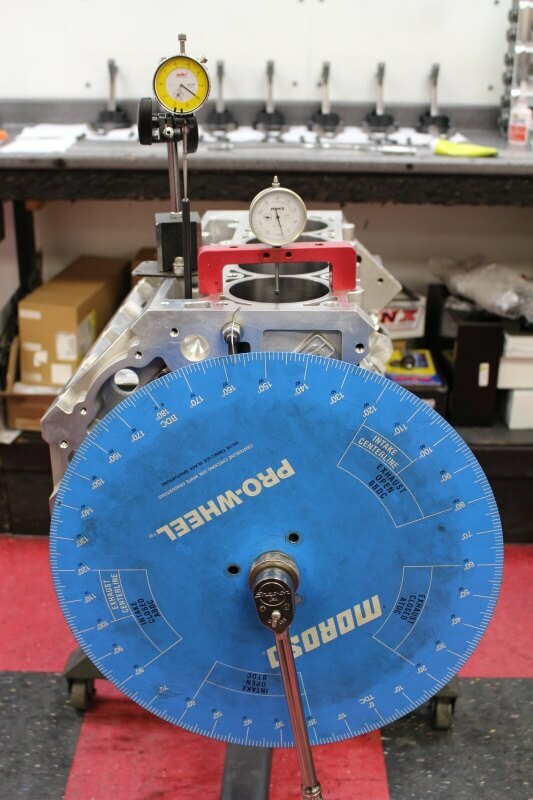 Here we are using a torque plate that is aluminum to simulate the aluminum head that we will run on this engine. This machine allows us to set the cross hatch for different ring sets, here we are setting it for a stainless steel top ring. 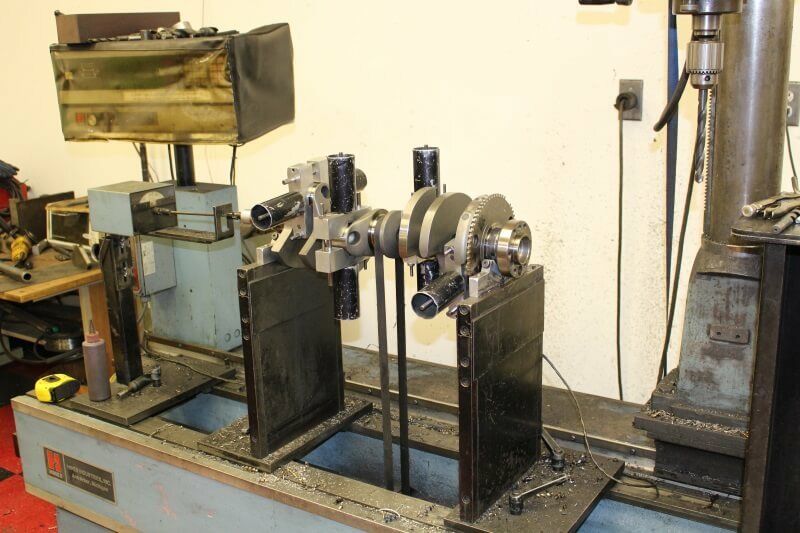 Our Sunnen line hone allows us to hone the mainline and properly build the oil clearance in to match the Callies Billet crankshaft, this is part of the blueprinting process. Balancing is one of the most important processes in order to guarantee long engine life and smooth operation. 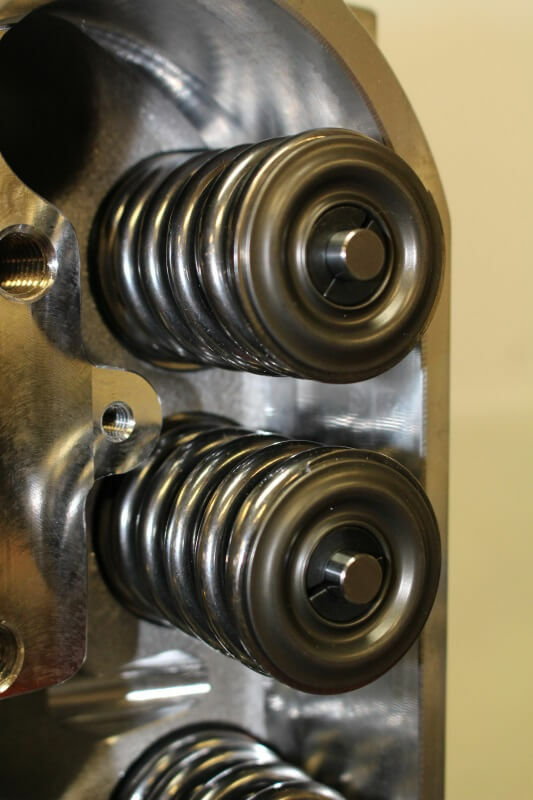 Here we dynamically balance the crankshaft on our Hines Balancer. Callies Ultra H-Beam rods are good for over 1000hp and we feature them in many builds throughout the year. 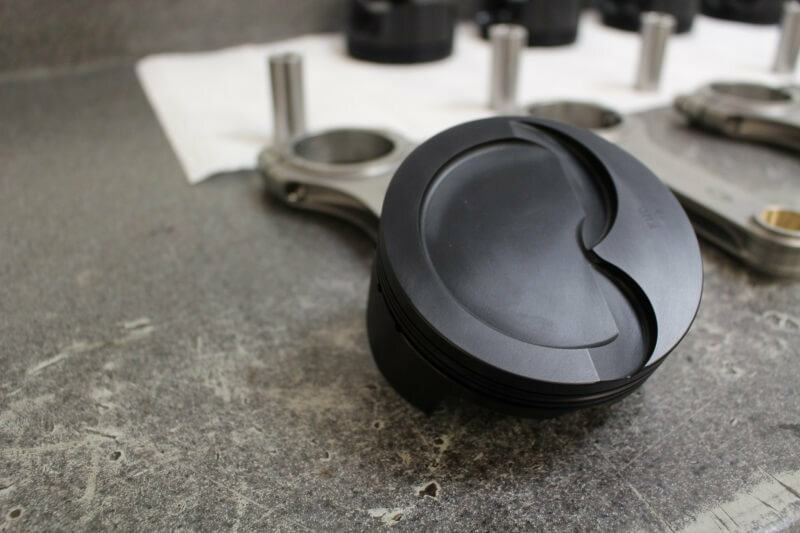 We had a custom Wiseco forged piston built for this engine and had them Hard Anodize it for overall strength. The hard anodizing works great in the ring lands and pin bore areas where excess wear can happen. We also use a tool steel wrist pin with this build. Short block fully assembled ready for the final camshaft degree check. Hard Anodized pistons will help this engine handle up to a 300hp shot of NOS!!!! 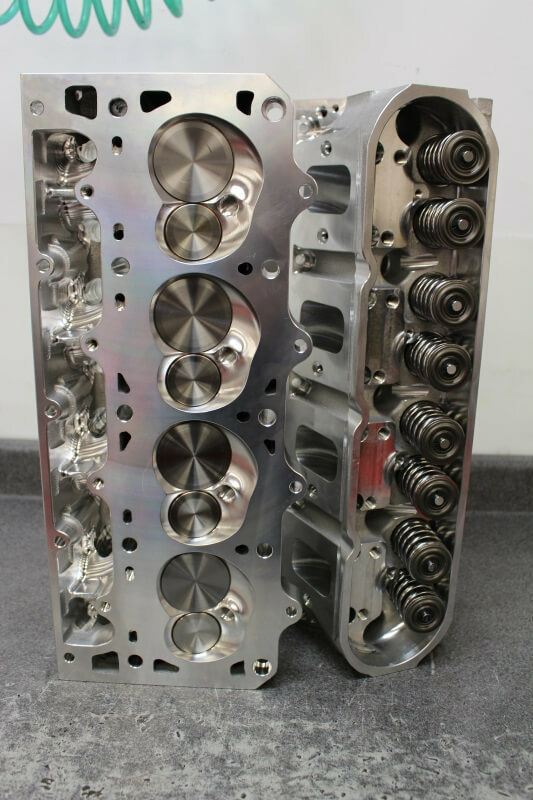 Mast Motorsports 320cc LS7 CNC ported heads!!! This picture speaks for itself when it comes to the quality these guys are capable of. 320cc Intake runner with valve installed, notice the extreme pressure lube we use on the valve. 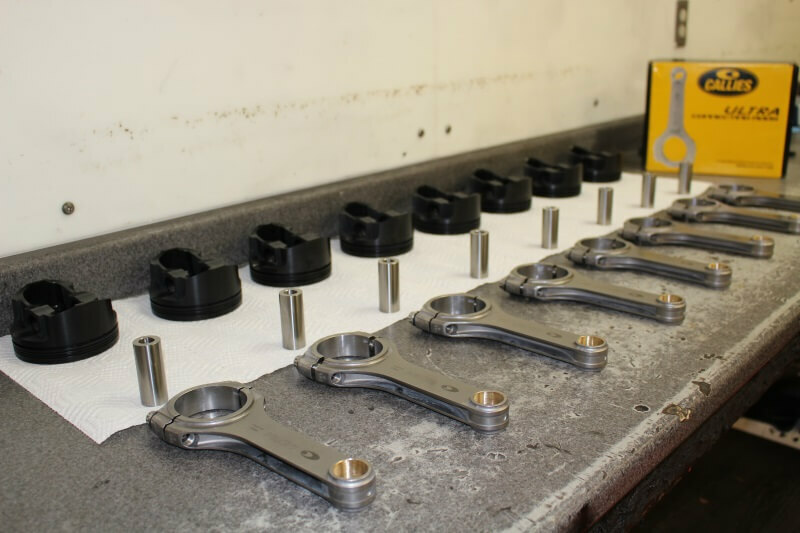 Heads fully assemble with Custom Manley Stainless Steel valves and Manley Nex-Tek polished valve springs and tool steel retainers, all ready for final assembly. This valve spring has 650lb of open pressure to handle the custom Comp Cams Solid Roller Camshaft. We carefully degree the camshaft into the engine for max power!!! Morel Pro Series Solid Roller Lifters which are sold through Bullet Racing Cams with their name branded on it. 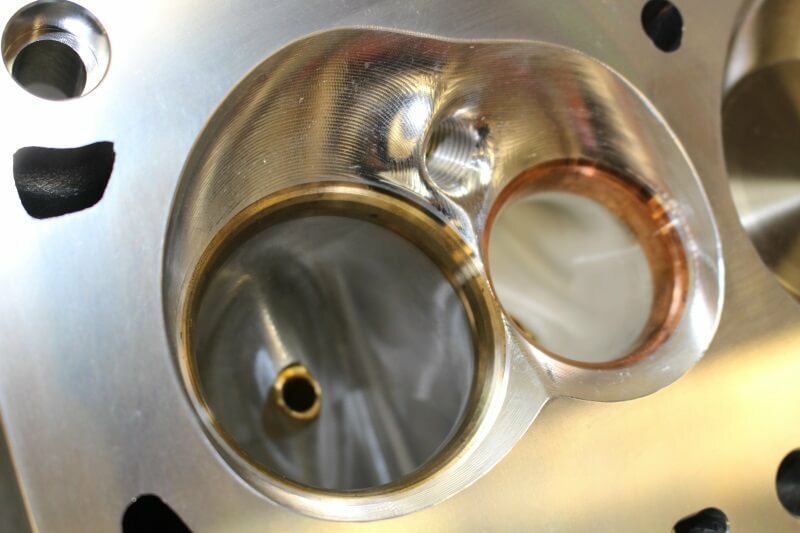 Checking valve to piston clearance before final assembly, this is important to ensure that the valve will not contact the piston when running. Long Block getting close to completion, notice the Hogan custom intake all plumbed for NOS in the back round. Jesel Pro Series Shaft mounted roller rockers and Hogan intake installed!! Engine ready for some dyno time!! Hope to see north of 800hp out of this beauty!! !